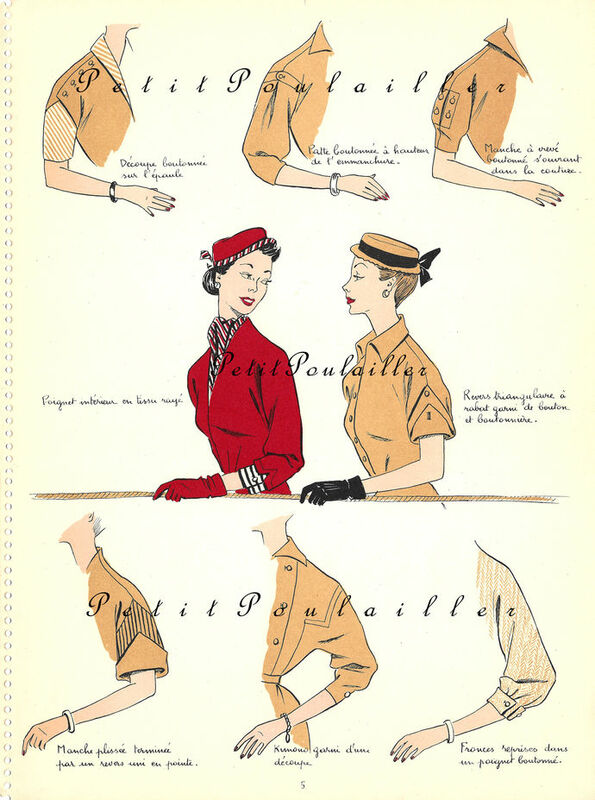 From a 'Idees Details Couture' fashion folio collection, here is a beautiful pochoir print from their 1954 annual publication of their upcoming fashions for 1955 and featuring sleeve and cuff details. The spiral bound book, numbered 57 in a limited edition of 1,000, is a wonderful illustrated collection of over 500 couture creations from 1954 Paris. Each pochoir print hand-colored and arranged on the pages by garment type, style, and color. The folio is a fantastic 1950's mid-century fashion time-machine for designers and artists alike. This pochoir print features beautiful fashion illustrations for 1954 Spring and Summer collar and neckline stylings - three center fashion illustrations with an additional 4 separate, smaller vignettes ... all with bold lines and in clear shades of spicy-mustard yellow, accented by black, and berry-red ... mid-century Parisian fashions ... perfect! 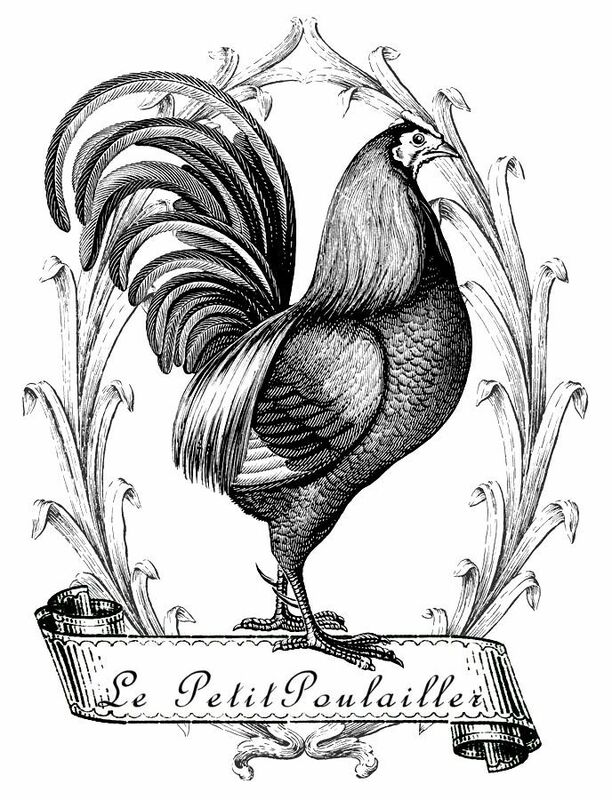 The paper is smooth and clean, the engraving is bold and strong, and the pochoir print is bright and clear. The heavy paper is blank on its reverse, measures 9.375" x 12.5" (23.8x31.8 cm), and shows little tanning. Their are no folds, creases, marks, or tears. Will you frame this? This will be gorgeous in the sewing studio or dressing room, bedroom or bath ... or perhaps these fashions find their way into your artistic creations? Wonderful for card and tag creations, scrap-book page making, collage. 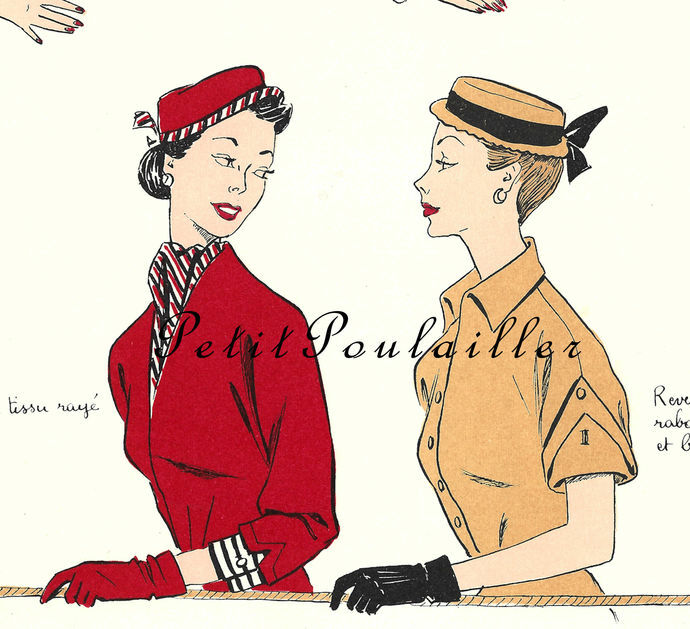 You are purchasing an original 1954 pochoir print and it does not have watermarks. I will send this to you flat, protected, and by USPS 1st Class mail.